Rescheck Instructions | $79 RESchecks & Manual Js. $79 Any Plan. Any State. Today on the Reschexpert blog we want to assist you with some simple Rescheck Instructions. The building department has told you must have a Rescheck Report and now it is up to you to make it happen. We will give you some basic steps to get your Rescheck created today. We will provide you with the simple steps we use on every Rescheck we create to help you create your own. The first thing you need is a full size set of plans and a quiet place to work. In some instances clients do not have actual plans and in this instance a hand drawn plan or a high quality of your construction blueprint’s pages will suffice. Now you want to spread your plan out in a nice, quiet, well lit place so that you have room to operate. The initial information you need from your plans is a great way to get your project started on the right foot. You need to know your building code, jobsite address, type of construction, and other details like the name of your builder and architect. Write all of this down and move on to the next step. Your next step is to look at the structure. Start at the top and find your ceiling square footage and insulation values. Unfortunately you might find that this information causes you to have to do a little searching through your plans. Write this information down and then move on to your walls. You want to separate this into your East, West, North, and South Walls. Write down the square footage of each along with the respective R Value. Next measure the windows and doors for each wall and write them down as well. Now you are down to your foundation. What type of foundation are you Reschecking? Is it a slab, crawl, basement, or subfloor? Find the square footage of the component or if it is a slab just measure the perimeter. Write this information for your Rescheck down along side the R Value of your component. Now it is time to choose your software. Your two options for creating your Rescheck are Rescheck Web and Rescheck Desktop. Rescheck Web is probably the best choice for a few reasons. It is constantly updated, you can update your projects anywere there is an internet connection, and you can share a Rescheck Online project among team members seamlessly. If your internet connection is spotty at times then you might consider the Rescheck Desktop Download version that will be installed on your computer and you can access from anywhere. Both Rescheck Desktop and Rescheck Web go through the same flow we just described. Take the information you have collected and enter it into the software bit by bit. Once you are done you can click Save, and then click Print to generate the report you will need for permitting. How long can you expect a Rescheck to take? People we train to create their own Rescheck for the first time generally need 10-12 hours to create a report from scratch, by themselves, for the first time. 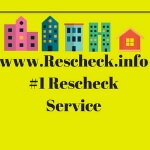 We at Rescheck.info offer a Rescheck Service that we complete all the above steps for you. The typical lead time for our Rescheck professionals is about 4-6 hours. So whether you are creating the Rescheck yourself or hiring Rescheck.info to create it for you make sure you leave yourself enough time to create your Rescheck. 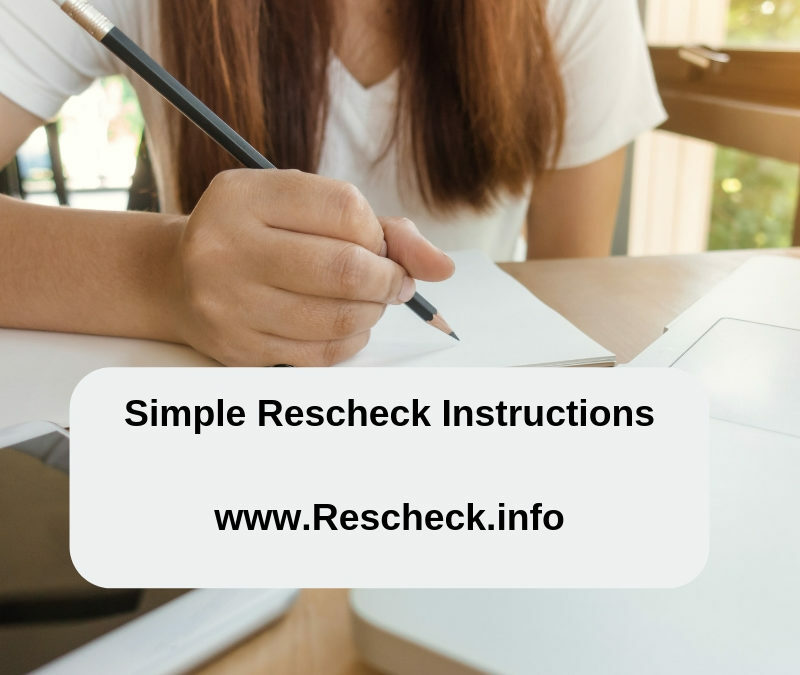 If you worked through all the steps and still find yourself needing help on your Rescheck we offer a low cost way to get a Rescheck created quickly. Simple email your plans and a jobsite address to [email protected] We will apply all the above Rescheck Instructions to your project. When your Rescheck is ready we will send you a project recap and invoice. We charge only $79 to cover the cost of printing your plans, paying our Rescheck professional, and creating your Rescheck. Give us a try at creating your Rescheck or Manual J today.